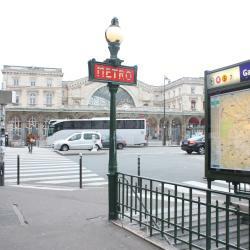 Looking for hotels near Rambuteau Metro Station? A 5-minute walk from The Louver, this refined hotel offers air-conditioned rooms in the very center of Paris. Noter Dame Cathedral is 0.6 mi away. I loved the staff they are very nice and welcoming. The hotel’s location is amazing! Featuring free WiFi throughout the property, Hôtel Victoria Châtelet offers accommodations in Paris, 0.6 mi from Louver Museum. You can't beat the location of this property. 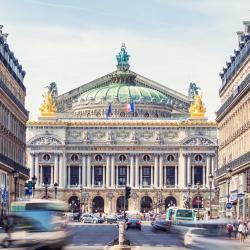 Located in central Paris, Hôtel Du Plat d'Etain is located between the Marais and Beaubourg districts, a 10-minute walk from the Pompidou Center. Excellent staff. Explained everything in details, which helped us to find places easily. 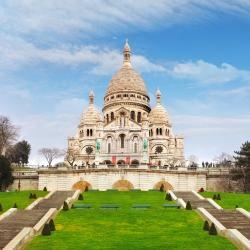 The Grand Hotel Dechampaigne is just a 5-minute walk from Le Louver and the Noter Dame, in central Paris. It offers rooms with Louis XIII-period décor and furniture. The bed was comfortable and the breakfast beautiful. 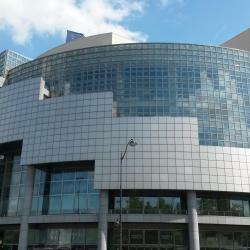 The Novotel Paris Les Halles is located in the heart of Paris. 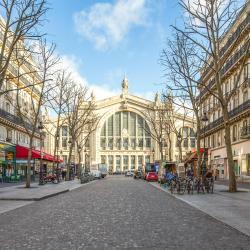 From this hotel, you can go shopping in the nearby districts of Rue de Rivoli, Boulevard Haussmann or Rue du Faubourg Saint-Honore. Our room was upgraded on our return from Brussels and it was super comfy and spacious. 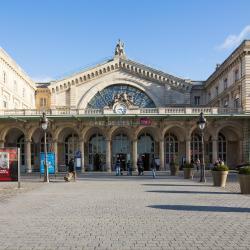 Hotels with great access to Rambuteau Metro Station! Hôtel Edgar is located in the heart of Paris, just 2461 feet from Grands Boulevards and 0.6 mi from the Pompidou Center. I really like the location of this place. Middle of district full of clothing, textile shops. 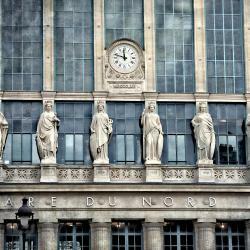 Located within 1969 feet of Pompidou Center and 2625 feet of Place de la République, Hôtel National Des Arts et Métiers features a restaurant and a bar in Paris. Incredible staff. Great restaurant & bar.